Moving into a new apartment can be difficult for lots of reasons. If your complex is like American Avenue Apartments then you’ll be able to see pictures of your apartment and a floor plan before you move in. Take advantage of that as you come up with a game plan for making your apartment feel friendly and welcoming. Here are 12 suggestions to get you started. There is just something that feels like home when there is a doormat that welcomes you into the apartment. They aren’t very expensive, and they start your little home off on the right foot for your guests. If you want to put a little extra work into it you can even add a wreath to the door. People like wreaths because it makes your apartment door distinguishable from all the other identical doors in your complex. Very few things say, “welcome to my home,” like an instrument in the room, especially if one of your guests know how to play. So whether it is an old guitar in the corner, a piano along the wall or a little ukelele on the couch, try to keep some sort of musical instrument handy. Books are welcoming because they seem to tell your guests to come in and stay a while. If the conversation isn’t entertaining then at least the stories might be. You can also have a deck of cards or a game within reach if the group needs some help socializing. Potted plants add freshness and life to a stale room. Just one plant in the corner helps to transform a bland space into a cozy home that people want to stay in. A small candy bowl on the coffee table doesn’t cost you much, but it helps people to feel welcome. Almost everyone likes candy and a little sugar can go a long way with making people feel welcome and happy. A throw blanket on the edge of the couch tells people that you want them to feel comfortable and make themselves at home. Snuggle up on the couch and enjoy an evening of relaxing. If you want people to feel like they are invited to your home try and have more seats available than there are people in the home. This gives guests the options of places to sit and lets them know that you want them to be there. Low lighting isn’t great for entertaining unless you’re watching a movie or trying to have a romantic evening. If your room isn’t well lit try adding a lamp or two in the corner or on the side table to bring a little more life into the room. When having people over try to keep the curtains drawn or the blinds up. It will help the room to feel less crowded and will let in natural light. The way a house smells can have a huge effect on whether people want to hang around or leave. If it’s an old house or you have stinky roommates, try using an air freshener to help freshen up the room. People like having something to look at besides blank walls. You could have photos of family or some artsy painting that you found at the store. Whatever the case may be it will give your guests something to talk about if the conversation is struggling. If you came up with some of your own ideas while reading through this list, that’s awesome! 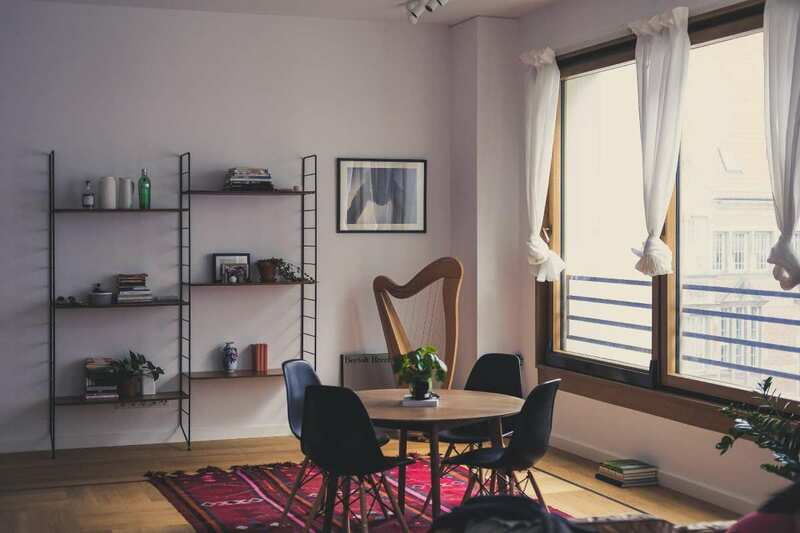 Make the space your own and greet everyone with a hearty hello and you’ll have your apartment filled with new friends in no time.